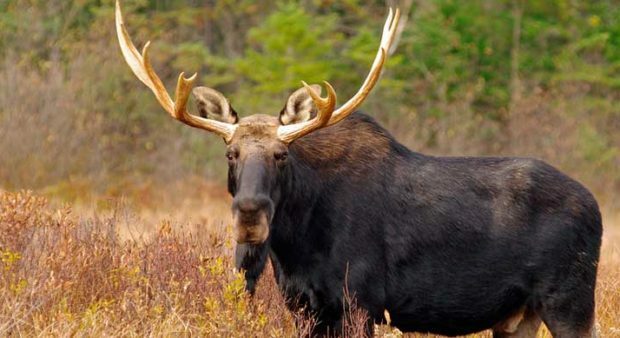 The Ontario Ministry of Natural Resources released the 2014 moose tag quotas and guarantees for group sizes yesterday and it’s bad news — for hunters and for moose. 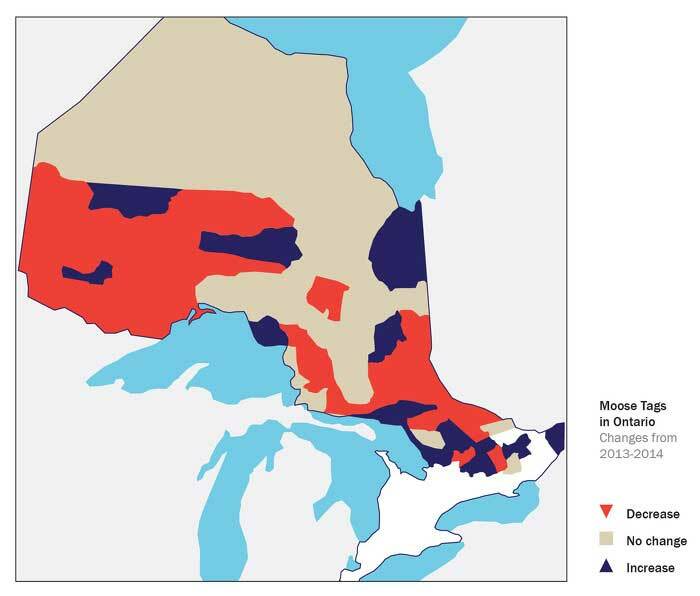 This winter’s aerial surveys showed that moose populations in some areas of Ontario have declined, so the MNR has reduced moose tags across the province by about 18% for 2014. When changes this large are made, people ask why — and sometimes — come up with their own theories. The MNR based the changes on data gathered from aerial surveys. Here is a summary of those results. Surveys were done in nearly half—14 of the 30—of the WMUs in this region and the results showed populations to be stable in 5 areas, stable-to-decreasing in 3 areas, and decreasing in 5 areas. Notable decreases were seen in WMU 5 and 8 in Dryden District, 14 in Nipigon District, 13 in Thunder Bay District and 9B and 11A in Fort Frances District. Aerial surveys were flown in 7 of the 27 WMUs and moose populations are estimated to be stable in only 1 of those areas and decreasing in 6. Decreases were seen in WMU 23 in Hearst District, 28 in Kirkland Lake District, 32 in Wawa District, 35 and 36 in Sault Ste. Marie District and 41 in North Bay District. The population is stable for 39 in Sudbury District. Since tag allocations and group size guarantees are directly linked to moose populations, there are a number hunting groups that will not be guaranteed a tag this year. For example, in WMU 8 groups larger than 3 that gun hunt for mooose were guaranteed a bull tag and a cow tag in 2013. This year, there are no guarantees in that area. Similar changes have been made to other areas as well. Aerial surveys flown in 4 of 15 WMUs landed positive news. Moose populations were estimated to be stable to increasing in all surveyed units in this region. Get full information on changes to the moose hunt here.